Begin your Executive Search today. AES International provides talent advisory and executive search services to support business leaders in what is an ever-changing business landscape. We help leaders create highly effective boards and leadership teams and build strong future talent pipelines. From a base in Ireland, AES International carries out local market and global searches for leadership level appointments based within Western Europe. 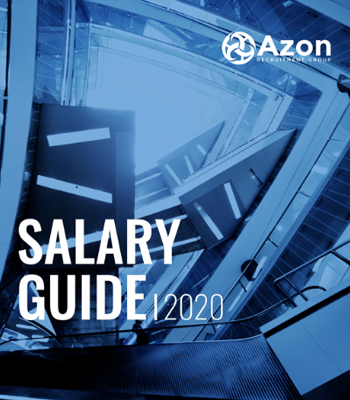 Integrity and consistency underpin Azon’s approach to executive search with our team of experienced professionals acting as trusted advisors to our clients. Our Functional coverage extends Financial, HR, Legal, Operations, Supply Chain, IT, and Communications. With broad industry expertise spanning Consumer, Financial Services, Industry, Technology and Private Equity, our Consultants are devoted to helping boards and CEOs make the right decisions with their leadership appointments, succession planning and talent development. Delivery at pace is the expectation that our clients have, whether they are based in the West-Coast of the United States, or the West Coast of Ireland. Our investment in emerging recruitment technologies and the commitment by our team of quality search consultants ensures we over-deliver within tight timelines. Our speed of delivery was demonstrated recently during a retained International CEO assignment that we managed on behalf of a U.S. Headquartered online payments company in the $1Bn+ valuation category. We commenced working on the search on a Friday, with the appointed candidate contacted by us on Friday evening and their commitment to the process confirmed by midday on Saturday. The Founder & CEO of our client’s business has since commented (when referring us to a contact of his who was looking to make a similar CEO appointment in Western Europe) that of all of the executive appointments that they have made in their company’s history, this appointment managed by AES International added the most value to their organisation. We challenge ourselves throughout each client assignment to ensure that no stone is left unturned in the pursuit of future executives for our client’s organisations. Our internal search processes guarantee that, with each shortlist or market map, the total relevant candidate universe has been fully exhausted. The exhaustiveness of our delivery was demonstrated during a recent retained Global Director of Events assignment that we managed on behalf of a Fortune 500 company. We conducted a global search that included all candidates who had previous experience at managing global events of similar complexity for a Fortune 500 employer. As part of our candidate attraction strategy, we looked at every Fortune 500 company to assess the relevant talent pool, as well as former executives from Fortune 500 companies, and delivered our shortlist within two and half weeks (of a four week search period). The feedback from our client was that we had nailed the brief in terms of the quality, fit and breadth of the candidate pool. We have been commended by our clients for having the ability to add significant value when conveying perceived market sentiment relating to a client organisation at the outset of a search process. We work with our clients to ensure intelligent messaging is made to the market. This adds value both to our client’s business and the outcome of search processes. We were working towards an equity Partner appointment with a Big 4 Firm. The Big 4 Firm had legacy issues in the specific service line that had been resolved but, in our view, needed to be addressed to the wider market to ensure a successful outcome with the search. AES International worked with our client to craft appropriate messaging that ultimately resulted in the top target candidates developing a keen interest in the opportunity. The client in question later shared that our presentation of the extent of the market perception was not known to them and we helped to resolve a challenging obstacle for their business. We are experts at finding the Executives that your business needs, and we have a track record of attracting the very best talent that could benefit your organisation. Connecting you to the perfect people and news in your industry.